Munich. March 18, 2015. 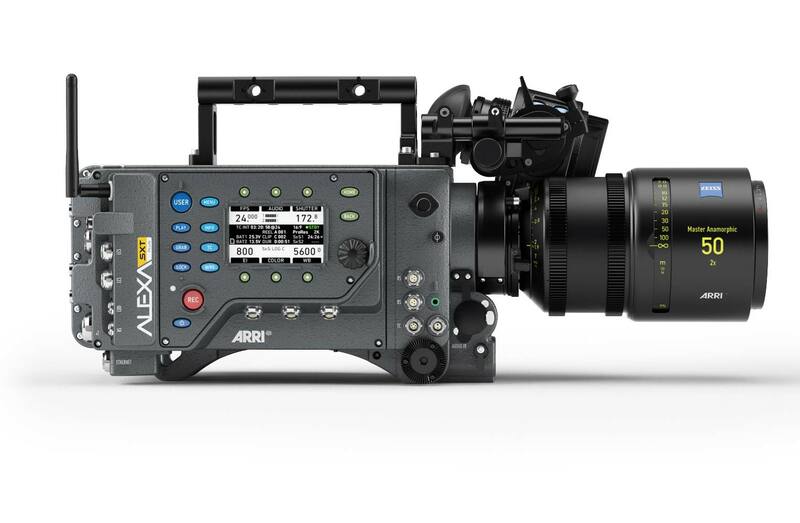 Like a long-running popular TV series, ARRI announced the latest evolution of the Alexa sisters: ALEXA SXT (Super Xtended Technology). Same body, upgraded hardware and software. Alexa SXT cameras offer ProRes 4K recording, improved image quality, color management and 3 fully independent HD-SDI outputs. SXT cameras will record ProRes 4K UHD (3840 x 2160 pixels) and ProRes 4K Cine (4096 x 2637 pixels) with mild in-camera up-rezzing. This is similar to what AMIRA does. The difference is that while AMIRA does ProRes UHD (3840 x 2160 pixels) — XST does both UHD and 4K Cine. Alexa SXT cameras use the same 3.4K Alev III sensor of previous models. Increased performance comes from electronics developed for Alexa 65 and Amira. The latest FPGA processors provide improved image quality, with faster processing, advanced pixel correction and optional noise reduction. New electronic boards enable faster and more powerful image processing—which is what makes the mild 1.2x in-cmaera up-rezzing to 4K possible. Like their XT predecessors, Alexa SXT cameras have Open Gate, 4:3 Anamorphic and Spherical modes, 16:9, and can record ARRIRAW or ProRes. Look creation in the SXT has roots in the advanced color management system originally developed for Amira. A new type of look file, the ALF-2 (ARRI Look File 2), contains an ASC CDL (Color Decision List) as well as a 3D LUT (Look-Up Table). The new color management engine can easily match the look of current Alexa cameras, but also offers new, customizable looks. Previewing looks on set is improved, including the option to use the wide color gamut of Rec. 2020 gamma. ALF-2 files and the tools that create them are compatible between Alexa SXT, Alexa Mini and Amira. Alexa SXT cameras have 3 fully independent HD-SDI outputs. For example, a Log C image can be fed to the director’s monitor for a pristine image with live grading, while a clean Rec 709 image can go to video village, and a Rec 709 image with information overlays can be displayed on the camera’s on-board monitor. The first Alexa SXT cameras are planned for release around mid-2015; the full range will comprise Alexa SXT EV, SXT Plus and SXT Studio models, replacing current Alexa XT cameras. (Alexa Classic EV model will remain in the line-up). Alexa XT cameras (except Alexa XT M cameras) shipped between Jan. 1, 2015 and the first shipment of SXT cameras will be eligible for a full SXT upgrade, free of charge. ARRI will also offer an SXR (Super Xtended Recording) Module upgrade to owners of existing Alexa XT, XT Plus and XT Studio cameras. The SXR Module upgrade delivers all the features of the SXT cameras, although it might not have the same potential for future upgrades.